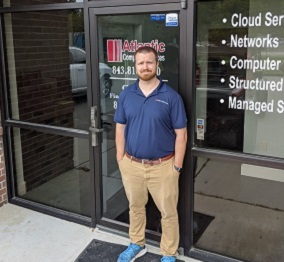 Founded in 2004 in response to the growing need for quality and reliable IT support for businesses and individuals, Atlantic Computer Services is the ideal provider for those looking to reap the maximum return on their IT infrastructure without the maximum investment. Based out of Charleston, South Carolina, ACS provides onsite technical support to clients in a wide variety of industries throughout South Carolina. As a technical services outsourcing company, we have worked hard to build a reputation of customer satisfaction through technical excellence, implicit reliability, and friendly staff. We differentiate ourselves from the competition by being transparent on the cost and our knowledge of your particular case. In the rare case that we are unable to handle your problem, we will solicit 3rd party support or direct you to someone that specialized in that technology. You will find us talking a language that you understand. Try us and you will get quality technical assitance at affordable prices without the huge costs and frustration. Tom has 22 years of experience in network security, multi-site connectivity solutions, structured wiring, Server planning and implemetation. Large project and turnkey technology rollouts for new sites. Tyler has 7 years of hands on experience in the IT industry. He has working knowledge of Internet infrastructure, LANs, network and application trouble shooting and implementation, and network hardware configuration. His skill set includes: proficiency in TCP/IP protocols, Exchange server, Virtualization, Medical and PACS systems, switch or router configuration and repair on 3Com, SonicWall, and other Enterprise as well as consumer class products. Some of Tyler's specialties also include data recovery, disaster planning, as well as the go to person for Mac, iPhone and other Apple products and technologies. Colton specializes in Systems integration and standardization. He has been working in the IT field for over 4 years. Colton's skillset includes Endusuer configurations, System replication, network planning and configurations. Project management and Municipality network infrastructure experience.